How ruddy exciting – it’s not too long before The Cribs release their fifth album, ‘In The Belly Of The Brazen Bull’, out on May 7. But that’s a bit too long a passage of time to pass by just repeating ‘Chi-Town’ and ‘Come On Be A No-One’, the two songs from the album out there already, over and over and over. I’ve been lucky enough to have a sneak preview of the album, and while I was speaking to Ryan, Gary and Ross Jarman for their feature in the new issue of NME (out Wednesday March 14), I got a some more words about the record and what to expect. 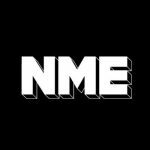 So to tide you over until May, in the words of myself and those gents, here’s NME’s track by track guide to the newie. The Cribs’ last two albums have kicked off with punky blasts (‘Our Bovine Public’ and ‘We Were Aborted’), and the more subtle leanings of ‘Glitters Like Gold’ signal how this time round, things are a bit more sophisticated. People who go into it with the attitude that it’s ‘back to basics’ are going to find a record that’s a lot more stripped back, it was all recorded live and we didn’t do as many overdubs. Sonically it’s a lot fiercer record, Dave Friddman and Steve Albini are both quite uncompromising producers. The first song to be unveiled from the album, an absolute belter of a punk rocker and the song they open their sets with now. It’s also got a pretty sweet story behind it from when Ryan was a youngster. This song was first recorded by Queen producer David Richards in Switzerland, but it all turned out a bit too ‘arena rock’ and the sessions didn’t continue for the rest of the album. You can hear how this could be turned into something that could fill the O2, those needling riffs are subtly anthemic and this is an album highlight for sure. The acoustic one. One of Gary’s favourites, this is a classic-sounding acoustic slowie (where you can here the hands scraping up the strings and everything), and reminds of the early acoustic stuff The Coral did. Sweet and touching (“Perfect things can break your heart,” Gary croons), it offers a side to The Cribs we don’t often see. The final four songs on the album are melded together into a four-track ‘suite’ that lasts about 12 minutes, recorded by the band themselves at Abbey Road in London. In abstraction this sounds like it should be a load of pretentious twaddle that makes most of Arctic Monkeys’ ‘Humbug’ seem as tuneful as ‘Empire State Of Mind’. In reality, it’s just four really good songs segued together well, the most impressive of which is the genuinely arena-worthy two-and-a-half-minute closer ‘Arena Rock Encore With Full Cast’.